If the popularity of Pinterest has proven anything this past year it’s that people love images. They love creating them, curating, them, and learning from them. So why not give your patrons what they want and create helpful infographics demonstrating how to use the library and other information literacy topics?! Here are seven free and easy-to-use tools to get you started. 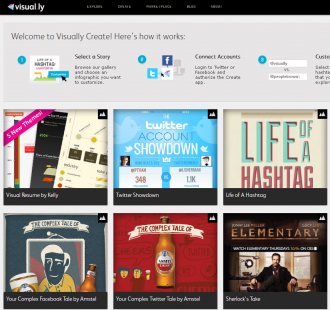 Easelly invites you to create and share your visual ideas online. This free Web application allows you to easily drag and drop themes, objects, and charts onto your canvas to quickly create professional looking infographics. With over 100,000 users, this Web application is becoming increasingly popular. 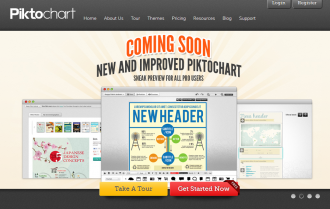 Piktochart has an easy-to-use, drag and drop interface which enables you to add shapes, graphics, and text as well as adjust the size and color of anything within the image. 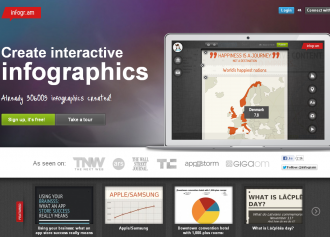 Over 30,000 infographics have been created using this free Web app. Start with a pre-designed template and add charts, videos and maps to create your infographics in a matter of minutes. They can also be embedded in blogs and websites easily. 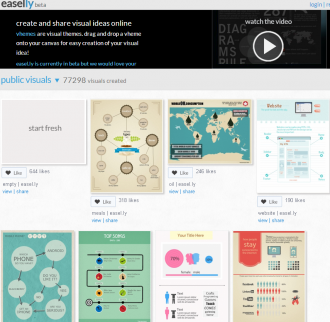 Create infographics based on their gallery of template images. Over 25,000 infographics have already been created using this online application. Dipity is an easy-to-use web-based timeline maker. Design interactive, engaging timelines such as this one on 150 Years of Government Information in Michigan Libraries by adding images, videos, maps, and narrative and then embed these in your website or blog! 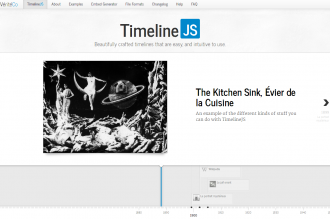 Capture your photos, videos, blogs, and audio files in an interactive timeline with Capzles. This social storytelling tool is a free Web-based application which lets you easily create and share widgets displaying your timelines.